Adults are not the only age group that make use of the internet. Children between the ages of 3-10 also make use of the internet. Children have different reasons for using the internet and to target and attract this audience you need to have a website that is specifically designed to satisfy their needs and wants. As a woman developer, it is easy to fall into the false sense of security that you understand what children need. However, it is equally easy to miss out important elements or to get it all wrong. Unlike adults who surf the web in search of information or with a purpose in mind, children surf the web for fun. For example, people aged 16 and above spend a large amount of their time online either social networking or watching videos. Children aged 9 and below stumble around from site to site or play games. There is also evidence that his activity trend is starting to change as more children have also begun using child friendly social networking sites. Younger children have not yet developed the same social needs teens and adults have and pursue other interests online. The rules are different when you create a website targeted toward children. Here are are few tips on how to ensure your website is suitable and engaging for children. When designing modern day websites the minimalistic approach is the favoured style. The minimalistic approach ensures that the website isn’t too crowded or crammed and visitors see and understand exactly where they are going and how to achieve what they want on a website. The minimalistic approach is something to avoid with a website geared toward children. You can’t afford for a children’s website to look sparse or empty. Each space on a children’s website has to have something entertaining and eye catching. If your website for children is too simplistic and “boring” all in the name of being more navigable, you will likely lose the interest of your target audience. Thus, design your children website to have engaging elements that call out to them and lead them towards exploring the website further. Conventional websites tend to keep things simple by sticking to a single colour scheme for most of the website. This is good because it avoids a clash of colours and sets a tone for the website, but this doesn’t work for kids as they are attracted to bright colours. On websites for children, the more colours that are available the better. Colours shouldn’t be splashed without purpose – there has to be a method to the madness. Each portion of a children’s website should be of a colour that speaks to the child and inspires positive moods. Sombre colours should be avoided while bright, energetic colours should be generously used to aid navigation as well as grab the attention of the target audience. A children’s website cannot afford to be too simplistic but must instead be detailed and entertaining. 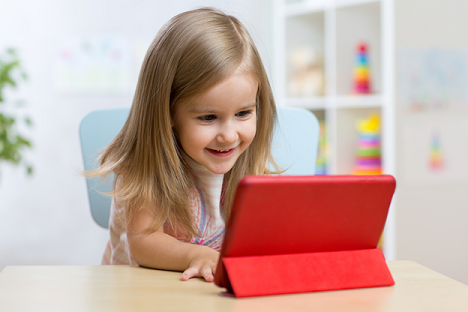 A proven method to keep a child engaged on a website is through games. Adults are more interested in information, whereas children are more interested in activity. They find activity entertaining. Games on the websites are more captivating if it involves the child controlling characters that he/she can relate to, such as characters that are familiar from TV or toys. Not only will games keep a child on your website busy for hours, it can also lead to your website being introduced to more kids through word of mouth. Be sure to make your website’s games not too great a challenge for the kids, after all, the goal is for them to have fun. To make the gaming aspect of your website more interesting, try to introduce a reward system. Children between the ages of 3-9 can be quite intelligent. Unlike adults who have a wealth of experience to rely on to help them navigate a website when they are unsure what to do next. Children get lost on a website without clear call to action or navigation buttons. Be sure that every activity on your website is clearly indicated with an attention grabbing brightly coloured font and simple language. Ensure each call to action or navigation button is distinguishable from the next one by either using colours or special characters to separate them. You might have created a fun website for kids but it will be pointless if kids can’t figure out how to move around the site. You have to actively ensure that your children’s website has a happy and vibrant feel to it. Your colours, font, language, and overall theme are all wonderful ways to accomplish this. Smiling animated characters on the website are also a great way to go and these characters can be used as navigation elements that point kids towards various activities on the website. It will also be effective if the theme of your website can make its users feel like they are on a happy adventure and the mission is to travel through the wondrous realm of your website to achieve a fun goal. Websites for grown-ups avoid using sound, animation, and videos because they slow down the loading speed of a website. You cannot do without these three elements on website designed for children because they help increase the level of interactivity of your website. Sound is particularly important for engaging children. A great way to introduce sound into your website is through links. When they click on a link they should be rewarded with an interesting sound bite. Animations and videos are also a great way to entertain, guide, as well as educate your audience. With animations, a web page never has to be static, and can stay intriguing for its user. Use proper hosting and backup options to ensure a smooth user experience. With offsite cloud backup, you can keep the integrity of uploaded media and maintain a pleasant user experience. Note that design needs to go hand in hand with the name of your website when it concerns children. If your domain name sounds very serious, children may not want to visit your site in the first place. So you need to think up a name that’s child-like before going to a registrar like Discount Domains for domain name availability checks.